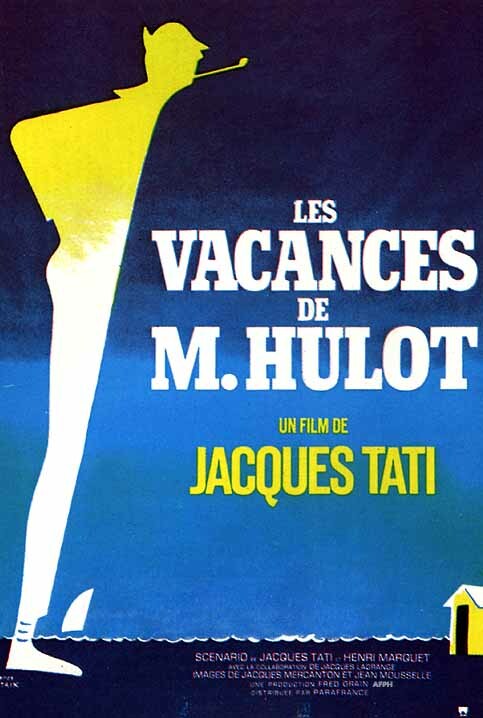 On Monday 31.8 we went to watch the second ihmefilmi with the ninth graders, Les vancances de Monsieur Hulot by Jacques Tati. It mostly tells about Mr. Hulots vacation on a beach. Jacques Tati is a very famous director and has made other comedies as well. It was made in 1953. Mr Hulot doesnt talk alot during the movie and he describes his miserable holiday with funny movements and emotions. Mr. Hulot reminded me about Mr. Bean, because they were similar in the way of communicating, Mr. Bean doesnt talk alot and makes funny facial expressions to tell you how his feeling and so did Mr. Hulot. The movie was really random at some parts making the movie really weird and almost disturbing at some points but still that didnt totally ruin the movie. The genre of this movie is definetly comedy. This was a French movie and it was released in 1953. Mr. Hulot was the only main character. The film didnt really affect me but it did make me laugh couple times because Mr. Hulot’s style of communicating was so funny. In general the movie was ok but it would’ve been a lot better without the boring beginning and the disturbing parts. I liked Mr. Hulot’s part in the movie because he made it funny, I didn’t like the beginning in which Mr. Hulot was driving his car for a really long time and the really random parts either. It could be improved by changing the beginning a little bit. From 1-10 I would give this movie a 5 because it was like just in the middle. Today we had our media lesson and it was very boring. I am not really interested in the topic that we are focusing on this year because we are just going to watch boring looking videos, that are black and white and are really old and that kind of stuff does not interest me. The reason is that I am more interested into modern movies that have more action in them etc. We didnt really do that much so there isnt alot to say.